An important aspect of home ownership that is often overlooked in the house hunt is How energy efficient is this particular home? A home requires a lot of energy to heat, light, and cool. Having a good understanding of these costs can help you save money for all the years you are in the home. It may not seem like a lot at first, but as the years go by the savings add up. We include a home energy report with every full home inspection, but we also offer the home energy report as an ancillary service (without the inspection) to homeowners that want to understand an/or improve their current home's comfort and save some money via energy savings. 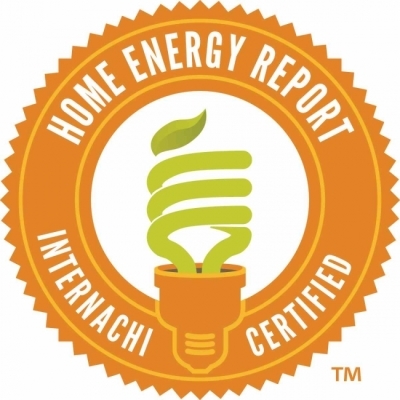 If you are having us do your home inspection - your home energy report is included! The data we need for the home energy report will be collected simultaneously during the actual inspection and you will receive both your home inspection report, and a separate Home Energy Report (w/e-book). Both reports will be sent directly to you after the inspection usually the same day - depending on the time of the inspection. There is a little preparation on your part so that we have access and can focus our attention on your home’s energy. We will need access to your attic, basement and/or crawlspace, and all appliances plus furnace, air conditioning, and water heating equipment. Much of the data we collect for the home energy report comes from these and other areas of the home. Don’t worry about making the beds and stuff like that, but we will be looking at the windows in each room. For pricing information see our pricing page. Click here to view an actual home energy report for a home in Rochester, NY. Client name and precise address removed.